"After decades of my corporate life, I founded PeopleStories with the support of a team of passionate friends to drive positive and sustainable social impact. Our objective is to couple storytelling and photography whilst creating a platform for people around the world to get involved and make a tangible difference to communities. 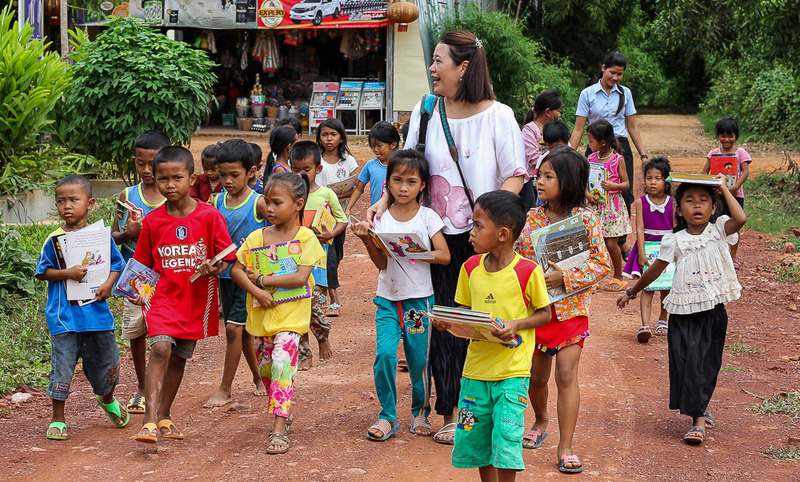 BikeforLife program is about enabling children in the rural area of Siem Reap to have access to education. It is making the dream of a local primary school principal of providing bikes to children for their greater access to school come true. Access to and completion of school remains a dilemma in Cambodia. Poverty drives many children away from school, with some children (that I know of) as young as 12 years old having to enter the labour market. I have personally seen many of them walking to school around 6am for 30mins or more and returning home under the hot sun in midday. Sadly, some don’t even have any shoes! A shout out to all our supporters and chuffed to have enabled us to exceed our funding target in 5 weeks, to deliver 93 bikes to this specific school. This would have a ripple, tangible impact and get 93 more children into school in the new term this November. These bikes will provide mobility, consistent access to school and create new opportunities for the children through education."